Reverse Proxies are an elegant and convenient method to remotely manage your media server’s services. nginx can forward requests to your uTorrent web interface on your HTPC. When you are done with this guide you will be able to use your free dynamic DNS address (Windows Afraid DNS Guide) like htpcguides.crabdance.com/htpc instead of htpcguides.crabdance.com:8085. You will have less open ports on your router making you more secure while simultaneously having a convenient URL to access uTorrent behind an nginx reverse proxy. This guide was tested on Windows 8 but should work on Windows 7 and Windows Server editions too (though use an nssm service). This guide requires you have enabled the uTorrent WebUI (guide here). 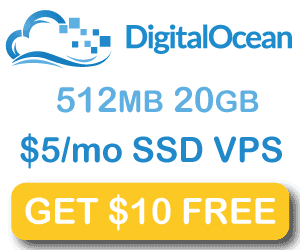 I also recommend using a free Dynamic DNS address (guide) but it is not necessary. Underneath add these lines, change your port (here 7070) may be different depending on the port you set for the uTorrent WebUI. If you want to access the reverse proxy outside your home network using your dynamic DNS address forward port 80 from your router to your Windows box running nginx. 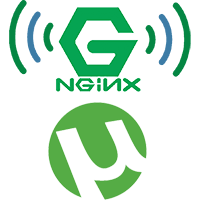 Enjoy your uTorrent reverse proxy with nginx. Treat yo' self to a new gadget! The information on HTPC Guides is for educational purposes and only condones obtaining public domain content. HTPC Guides is not responsible for content from any other site or provider. By using the links provided on this site you agree that neither this site nor its proprietor is in any way responsible for any damages or liability arising from use of external content. The information on this site is the intellectual property of the owner. Credit to other sources is provided where relevant. If you believe any information has not been sourced, please leave a comment and appropriate action will be taken.